Struggle. Sorrow. Supplication. These words describe Jesus in Gethsemane’s garden as Thursday turned into Friday. The apostles? Surely they sensed it. The hour was late. Much had happened. The last supper. Washing feet. Judas’ departure. And the ensuing walk across the Kedron valley with Jesus teaching. Encouraging. Comforting. Promising. But while the Savior prayed. The disciples slept. Watch and pray. Those words ring in my ears, as I reflect on what follows. The betrayal kiss by Judas. 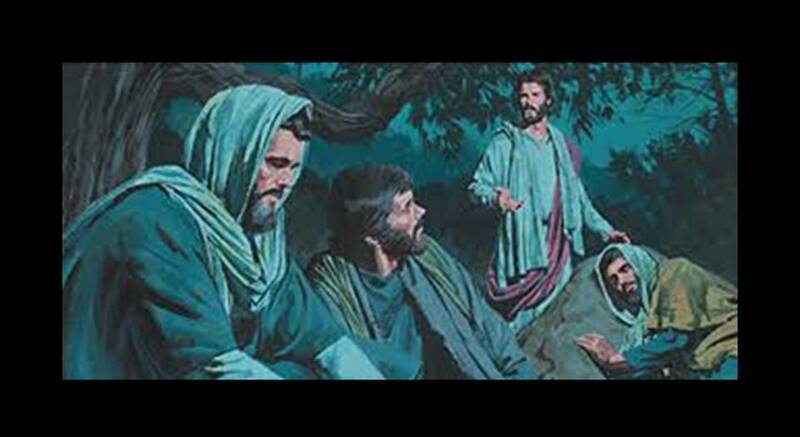 The apostles fearful abandonment of Jesus. Peter’s denial. The Sanhedrin’s kangaroo court of a trial. Pilate’s cowardice. The crowd’s cry “Crucify Him.” The brutal beating. The weakened walk to Calvary. And finally the executioners’ cross. Watch and pray. Those words ring in my ears. As the crowd jeers. And Satan cheers. While the turned face of the Father sheds tears. Watch and pray. As Jesus suffers. And dies. On the cross. All alone. Fast forward to a Sunday service. A song is sung. Verses are read. A few appropriate comments are made. Communion is passed. The bread is eaten. The juice swallowed. And I sit. I slumber. My mind wanders. I lose focus. An afternoon ball game. A family outing. A debt to be paid. A business deal to close. A vacation to begin. And then those words ring in my ears. Watch and pray. Indeed the spirit is willing, but the flesh is weak. I know all too well. I feel the disciples’ frailty. Their feebleness. Their temptation. Their embarrassment in the presence of Jesus. As I’m shaken out of spiritual slumber, I am thankful. Not just for Friday. And for the cross. But for Sunday. For the eye-opening, spirit-stirring victory. For the resurrection. For Jesus’ trumiph over the tomb. For death’s defeat. For the crushing blow to Satan’s scheme. Watch and pray. Through faith I can do that. With the power of God’s love I can find forgiveness. Receive redemption. Procure pardon. Watch and pray. Yes! Sunday reminds me of that. I have help. Hope. Assurance. God planned it. Jesus promised it. The apostles proclaimed it. I leave the table better. Stronger. And humbled. Oh, tomorrow I may slip. Again. I know the flesh is weak. But the spirit is willing. It may be Friday. But Sunday’s coming! Tagged as Gethsename, It's Friday. But Sunday's Coming! Beautifully written. All your material is eloquent, moving, profound. I really appreciate it. And it means a lot coming from you. Just when I think “What else can he say?” you present the best one yet. I always look forward to these. This will be forwarded on as so many others have been. Thanks so much, Ruth. I appreciate it. Thank you as always, Ken!